Discussion in 'Hardgoods: Skis, Bindings, Poles, and More' started by DoogieDoc, Nov 18, 2018. On March 30th, I got wrecked by an out-of-control snowboarder who hit me from behind. I was on skis going about 15MPH. The witnesses who saw it said he was doing about 45MPH when he crashed into my right hip. The impact sent me 10 feet high in the air, spinning like a bowling pin, and I landed upside down on my left shoulder. The snow surface was morning spring firm/ice. I sustained six injuries, the worst of which was a Grade 4 AC shoulder separation. As a result, I had to have a "modified Weaver-Dunn" procedure performed 5 days later to reattach it. I have been injured many times in my almost 50 years of skiing, and have had many other ortho surgeries before, but NOTHING like this (and I've been through an ACL repair). I am now coming out of 7 months of intense PT... 4-1/2 hours 3x weekly, plus 2-1/2 hours of gym time on my "off days." Aside from a gnarly scar and the physical sensation that I am "put back together," I have recovered to almost 100% of my baseline thanks to lots of hard work. But I don't want to have to go through this again...and I'm not giving up skiing. 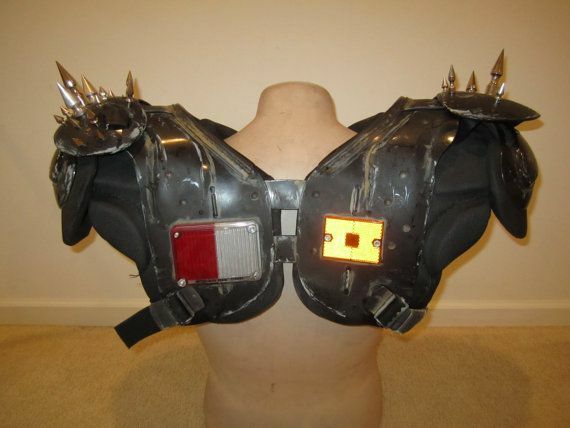 I have seen much mention made of armor to protect the back, but not much about shoulder protection. Most of the stuff I have seen seems to be for motorcycle or football protection, and not really useful for skiing. Can anyone point me in the direction of lightweight ski-appropriate upper torso protection?? Here is what Poc offers... Spine VDP 2.0 Jacket. Jacques, TexasStout and 1chris5 like this. My wife uses G-Form protection. It is soft, flexible foam that instantly hardens on impact. Very high tech and unobtrusive. Their site lists a variety of styles including some snow sport specific items. I've had 3 or 4 separated shoulders from hockey. I think at least part of the problem is, it's not necessarily a point force injury. It's a mass-momentum injury. I mean, talk to your PT or your doctor, I'm not an expert. But for me, it was more stopping a huge force than getting hit on the button. I'm not sure how much help pads are. You're still absorbing a huge load with the shoulder joint. To me, it's like, stopping a hockey puck with a shin pad (effective..more or less..) vs stopping yourself getting crushed by a car crusher (shoulder pads won't help). It's between those things somewhere.. So pads may help..but don't think they're 100% effective. Sorry, just trying to share my experiences. Mike Thomas, Pequenita, Slim and 4 others like this. I feel your pain.... Took a year of PT until I could shampoo my hair with 2 hands. And then a surgery to remove the plate before I could reach over my head to touch my right ear with my left hand. Shoulders heal very slowly and the physical therapy is painful. And to be clear, my separations were all grade 1 and 2. Pretty sure that all serious skiers have at least one bad shoulder. Goes with the territory. NZRob, Big J and jmills115 like this. Keep doing those exercises. I had a grade 3 separation - three torn ligaments, collar bone down about 1.5 inches (IIRC). Kept doing the exercises for two years (had range of motion after two months. Then I fell on my shoulder at about 40 to 45 mph. Ligaments were fine. Maybe I should have been doing something to strengthen the humerus, which broke at the ball. But for me, it was more stopping a huge force than getting hit on the button. I'm not sure how much help pads are. You're still absorbing a huge load with the shoulder joint. To me, it's like, stopping a hockey puck with a shin pad (effective..more or less..) vs stopping yourself getting crushed by a car crusher (shoulder pads won't help). It's between those things somewhere.. So pads may help..but don't think they're 100% effective. Sorry, just trying to share my experiences. I think that's exactly why OP posed the question. Pads and armour are easy to find. Where and how does one find energy absorbers for the total energy going into the joint? For my own part, I think this thread deserves a counterpart training thread. Not a recovery thread but a training thread that answers such burning questions like "How do boxers avoid rotator cuff injuries?". KingGrump, socalgal and scott43 like this. Yeah a big part of my gym workout (such as it is..) is shoulder stuff. My shoulder separations all involved shoulder pads. Since I've increased my shoulder work, they've been a lot better and I don't wear shoulder pads anymore. Look at bike websites. Chain reaction cycles has a pretty easy search. Thanks all for your input, and thanks Phil for those links. I know that no clothing or pads can protect against all injury. But when I saw the surgeon yesterday and asked him about this type of protection, he said “don’t even bother.” On a bright note, my surgeon has done over a thousand of these repairs and he said he has never seen one fail beyond the point in recovery where I am. So “protection” won’t protect. Beyond that, I guess what I’m concerned with is the “button.” The repair is pretty invasive and involves taking all of the torn ligaments, braiding them with a very tough bio-material, weaving them over around and through various bony structures surrounding the joint and then cinching them up tight and anchoring them to the collarbone under a metallic piece that looks like a dog-bone...”the button.” It sits immediately under the skin, and if you hit me in just the right spot it’s eye-watering. So I can imagine in just a simple fall, if I were to land on that place, I would much rather have it be padded than not. I think I’m going to have to go to a store and try a couple on just to see if it would help. Do you also need stability support, like with the cycling clavicle-shoulder support braces @Slim mentioned? I met a woman on a gondola once with a bathrobe sash tied around her waist. She had tied her arm to her side! She said it was to prevent her from involuntarily extending her arm to catch herself in a fall. I can't remember now if she had recently had shoulder surgery or if this was to prevent an existing shoulder injury from getting worse if she fell on the same side again. Regardless, it was her way of protecting that shoulder. As a practical matter, is it actually located in a place where, in a simple fall, it would be isolated impact on that location and nothing else affected? Not to be dramatic, but would your collarbone need to break in order for a fall to affect that spot? I get that its a spot that you can pinpoint and understand the desire to have padding, and it certainly won't hurt. My thinking is that it may seem like your achilles heel because you know where it is. But, it may be located someplace where it would be rare to have it be affected in a fall and have nothing else bigger involved. Welcome to another evening of confusion and high-frequency stimulation! skidrew, Wolfski, VickieH and 1 other person like this. 1chris5 now THAT's what I'm talking about!! Note the reflectors for night skiing. It's like they were made especially for the Poconos. ksampson3, esef and VickieH like this.